Budget 2019 again neglected the rice industry and rice farmers. The A Partnership for National Unity/Alliance For Change (APNU/AFC) is clueless and heartless. There are no provisions for better access roads and better paddy prices, no indication that increased taxes, lease and drainage and irrigation fess will be reversed, but the Finance Minister dreamed of rice farmers using drones to seed their paddy fields. In fact, Minister Winston Jordan who cannot promise rice farmers better access dams, insists Region Five (Mahaica-Berbice) farmers are already using drones. I cannot find any of those farmers. In spite of their hostility to the truth, even the APNU/AFC no longer deny Guyana’s economy has been spiralling downwards, faster than any other economy in the Caribbean Community (Caricom). Every sector has contracted in the period since 2015. In this gloomy milieu, the rice industry has been one bright spot for APNU/AFC. Rice farmers, in spite of many challenges and a tone-deaf Government, have succeeded in maintaining record production reached in 2014. 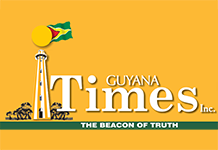 A sensible Government would have ensured maximum support for the one industry most responsible for Guyana still reporting a positive Gross Domestic Product (GDP) growth. Instead, by its policies and by its actions, the APNU/AFC has done everything to stifle the growth of the rice industry, and, therefore, creating hardships for the economy as a whole. In 2014, production had reached 637,000 tons of rice (more than 1,000,000 tons of paddy). The target for 2015 was 700,000 tons and for 2020, 1,000,000 tons of rice. While the 2018 production is still not complete, we know that Guyana will fall short by a significant amount from reaching 700,000 tons of rice. After the first crop in 2015 reached more than 398,000 tons of rice, expectation was high for the 700,000 tons milestone. But APNU/AFC immediately made poor decisions which led to a drop in the second crop production. Guyana fell below 300,000 tons for that crop, failing to reach the annual target of 700,000 tons in 2015. Guyana failed again in 2016 and 2017 also. The reasons for Guyana not being able to build on the sound 2014 rice platform are several. The loss of the Venezuelan export market – which accounted for between 200,000 to 250,000 tons of rice – is one of the major reasons why the upward trajectory for production stalled. That market not only accounted for a large amount of the national production, but paid a price that provided farmers with a descent profit margin. The farmers, therefore, looked to cultivate every inch of available land. The loss of the Venezuelan market could not be compensated for by the Mexican market, which is purely a paddy market and which pays price per ton of paddy on the low end. There were other equally significant reasons. The APNU/AFC took a hands-off approach, claiming that the rice industry is a Private Sector business and Government has no role to play in pay disputes between farmers and millers. Farmers have been forced to take low prices for their paddy, in spite of the APNU/AFC’s pre-2015 election promise guaranteeing farmers $9000 per bag. Adding salt to the wound, farmers have been forced to wait an unreasonably long period for their payments. The APNU/AFC abandoned the practice of Central Government intervening with bridge payment to the farmers. Making matters worse, rice farmers have been forced to pay significant increases in lease and drainage and irrigation fees, while dealing with increased paddy bug and other problems without any meaningful assistance from Government. During this crop, farmers in Region Two had to abandon and burn more than 1000 areas of pest-infested rice fields. During poor weather conditions, such as flooding and prolonged dry spells, the Government has been essentially missing in action (MIA). Rice farmers have repeatedly cried out for relief from the deplorable conditions of many access dams. On top of all of this, vital support such as duty-free fuel and equipment have been removed. The APNU/AFC has struggled to maintain the growth of Guyana’s economy which before 2015 had grown for nine successive years at an average GDP growth rate of about five per cent. Guyana’s growth rate for the decade before 2015 ranked as Caricom’s economy with the best overall growth. 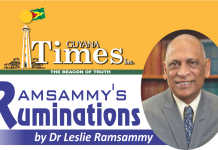 The APNU/AFC squandered the opportunity to further elevate Guyana’s economy. The growth of the previous decade had seen Guyana moving from a Least/Low Developing Country (LDC) and a Highly Indebted Poor Country (HIPC) to a Middle Income Country, according to the categorisation of the World Bank. Instead, under APNU/AFC, since 2016, the economy has stagnated with little to no growth, other than that pushed by rice. Yet, APNU/AFC’s Budget 2019 has heartlessly neglected rice, again.